How do I remove a Pinterest or Instagram account from Tailwind? 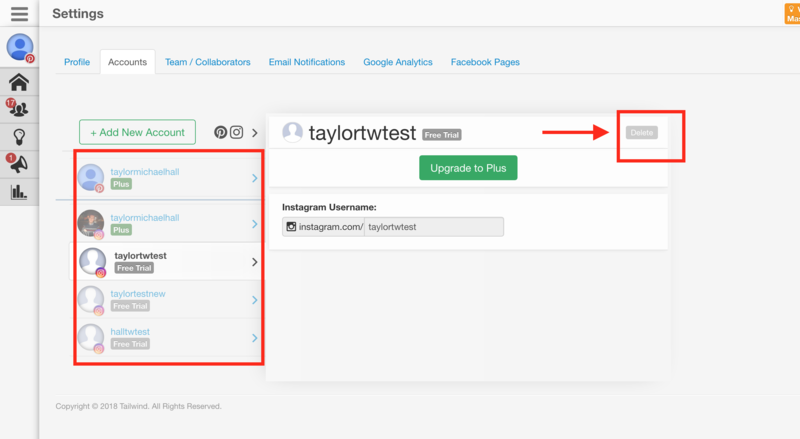 Here's how to remove a Pinterest or Instagram profile from your Tailwind dashboard. 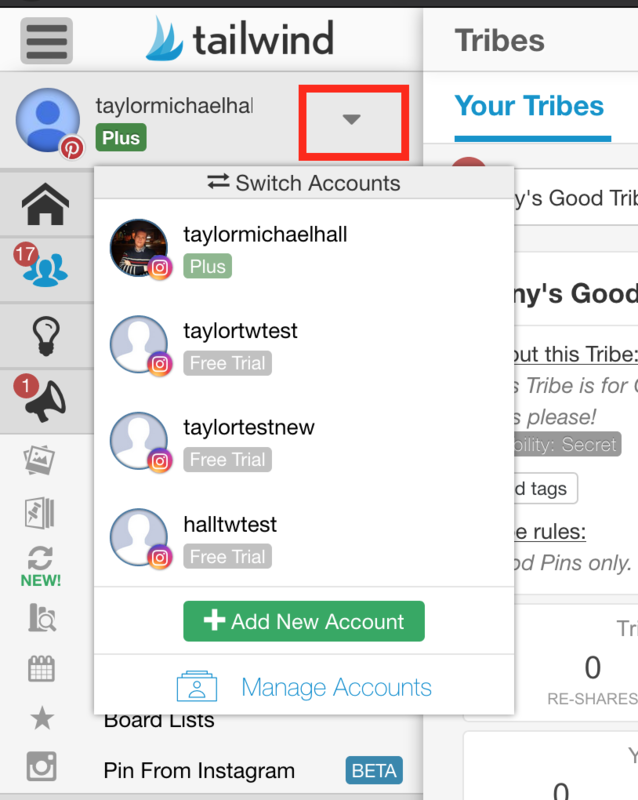 There are a few reasons why you might want to remove a Pinterest or Instagram profile from Tailwind. Maybe you signed up with the wrong account initially. Maybe you wish to add the account to a different Tailwind dashboard that you are using. Or maybe you are no longer managing an account and want to release it from Tailwind to declutter your dashboard. On any page on your Tailwind dashboard, hover over the menu on the left hand side, then hover over the downward arrow to view all of the accounts on your Dashboard. 2. Click Manage Accounts at the bottom of the box to visit the account management page. 3. Choose the account you would like to remove, and click Delete to remove that account. You will be asked to confirm, then your account will be removed from Tailwind! Please note that when an account is removed from Tailwind, all of the analytics data, drafts, and scheduled posts will be lost, even if you add the same account again later. You cannot delete a social profile if it has an active paid plan with Tailwind. You will have to cancel the paid plan first to remove it from your account. You also cannot delete a single social profile if it is the only Pinterest or Instagram profile on your Tailwind account. In this situation, you will have to close your Tailwind Dashboard to release the social profile. Read more in our Knowledge Base article: How do I close my Free Trial Tailwind Dashboard?